Designed by Richard Berg. Originally titled Bitter Victory and desktop published by BSO games. It is 1943, the Allies have driven the Axis out of Africa and have begun preparations for the invasion of Europe. Unable to launch the invasion of France in 1943, and needing to keep the pressure up in order to prevent German troops being sent to the East Front, the Allies opt to invade Sicily as a stepping stone to Italy. 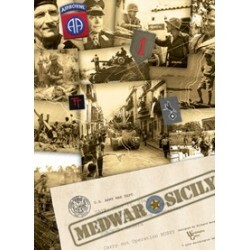 Operation Husky is the code name of the Allied Invasion of Sicily. Most of the rules and mechanics will be familiar to anyone who has ever played a wargame. 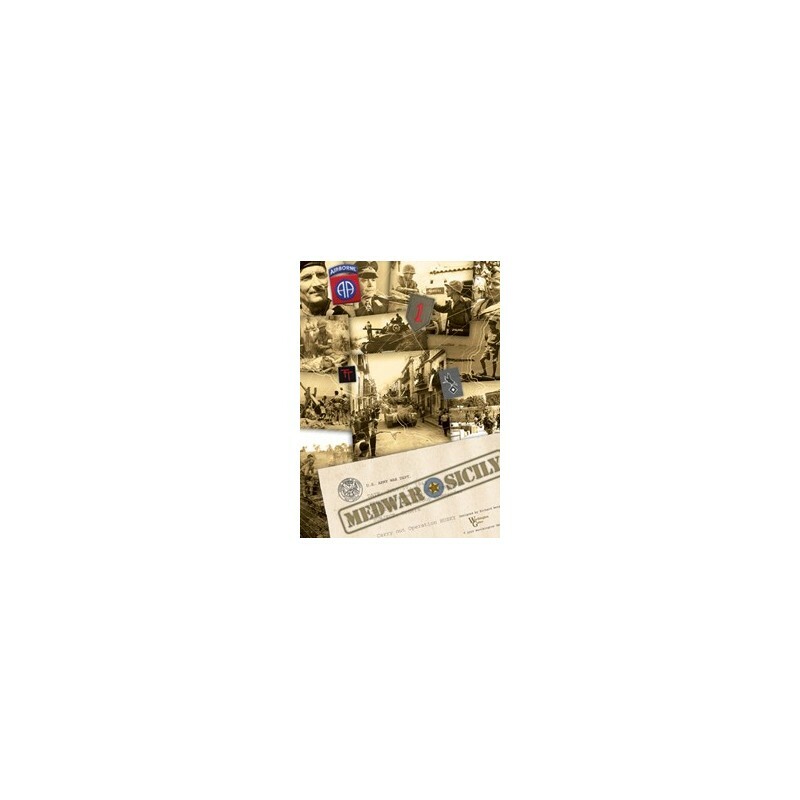 MedWar Sicily has a combat system that rates units for how many dice they get to roll on their behalf, as well as what kind of dice (small arms or heavy weapons). No CRTs. The game also uses opportunity cards for each player, whose cards are somewhat different from those of the other player to enhance the game. Resource points are used acquire opportunity cards or refit units. Players are limited in their resource points. The choice is theirs, but there are far more choices than points. 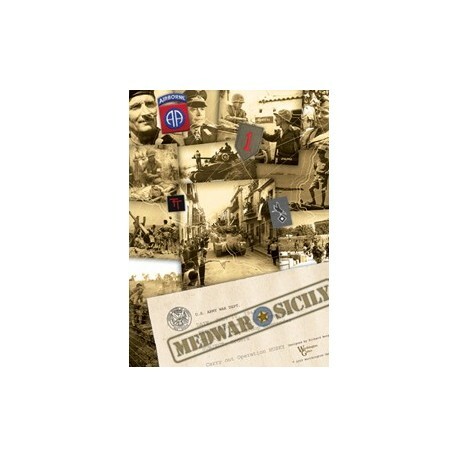 Playing time for MedWar Sicily 2 to 3 hours. The rules have a section on Solitaire play. Game comes with a 34" x 22" mapsheet, full color counters, rules, dice, player aid charts, and box. This is an excellent 1 to 4 player game. In a 2 player game one player is Axis/ one Allied. In a 3 player game one player is Axis/ one British, one American. In a 4 player game one player is Italian, one is German/ one is British, one is American.